If you polled 100 skaters and asked “What got you into skateboarding?” you would get 100 unique answers. Similar themes would appear, but every skater’s origin story is different. We learn about Liu early’s motivations from Eric, a local Rockford, Illinois, skate shop owner who watched the trio grow up. “Skateboarding meant more to you than being cool and having friends,” Eric tells Liu. “It was your thing to get away. It was kind of a life or death thing.” When Liu’s film broaches the subject of domestic abuse, it does so with surprising gentleness. His intention is to understand rather than judge, even when his interviews reveal ugly truths about people he’s close to. Through ongoing conversations with Zach’s girlfriend Nina, Kiere’s mother and jail-bound brother, and an especially wrenching discussion with his own mother and half-brother, Liu’s investigative work begins to reveal a cycle of abuse, and the different ways its survivors cope with trauma. Despite the documentary’s dark turn, the film manages to steer clear of despair. In Liu’s search for catharsis, he discovers pockets of hope: the thankless grind of a kitchen job provides Kiere with the resources to begin a new life, Zach’s baby finds a stable home with Nina’s aunt and uncle, and skateboarding is portrayed as both distraction and therapy. On Kiere’s board, the phrase “This Device Cures Heartache” is written in silver sharpie. Liu’s directorial debut is powerful and surprisingly subtle, and few—if any—skateboard documentaries have so successfully demonstrated its ability to soothe the spirit. This summer, both Minding The Gap and Skate Kitchen managed to package many of skateboarding’s best qualities and present them to a wide audience. Hopefully their success will open doors for other skate filmmakers with stories to tell. Danny Karel is a frequent contributor for The Berrics. Read his profile on Rip City Skates here. 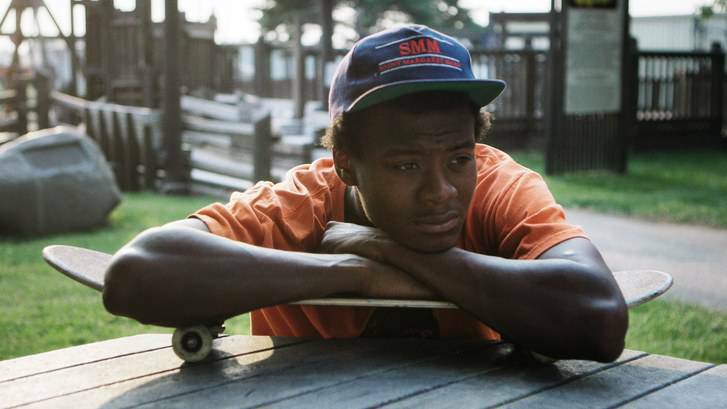 Minding The Gap is streaming on Hulu. If you aren’t a Hulu subscriber, the app is currently offering a free trial. In this BATB 11 match, returning BATB 7 champ Cody Cepeda goes toe-to-toe with Tyson Bowerbank. Tomorrow, returning BATB 7 champion Cody Cepeda battles Tyson Bowerbank in the third game of BATB 11. Here’s the pre-game scoop, via The Nine Club’s Chris Roberts.